Personal size Bibles are great for carry. 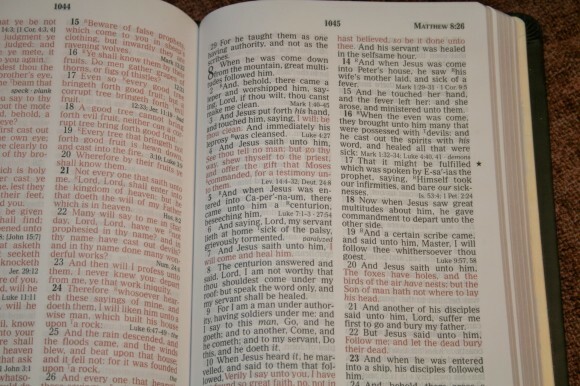 Large print editions are some of the most popular choices for preachers. 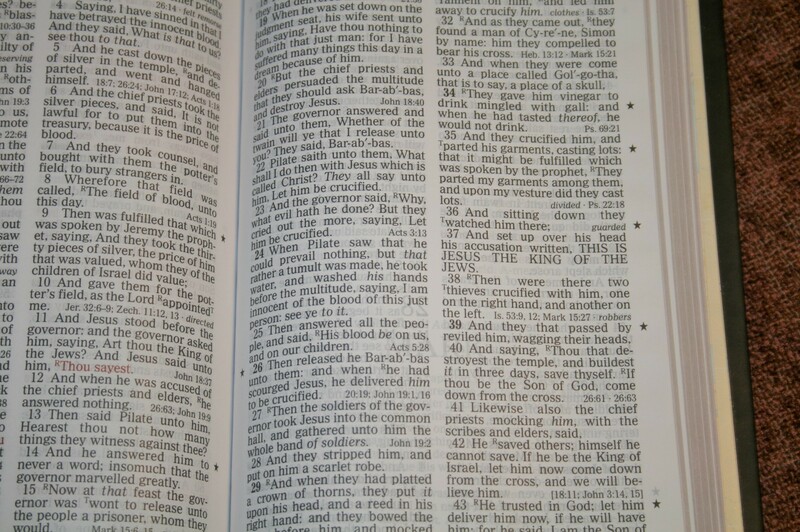 Not so much to study from, but if they have a good enough print and lay flat they can be good Bibles to preach from. 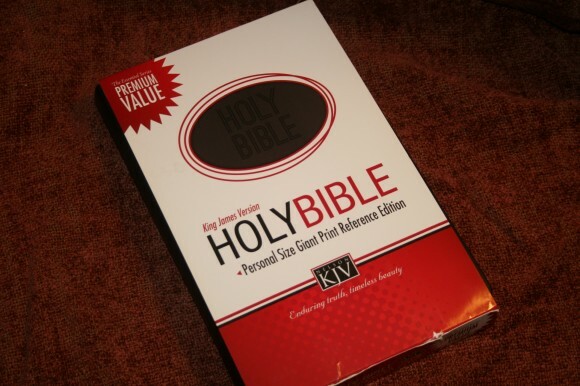 The Personal Size Giant Print Reference Edition KJV from Thomas Nelson just might serve both of those purposes well at an affordable price. This is a personal size edition at 8.75 x 5.5 x 1 1/8. The cover is polyurethane with a paper liner. It feels stiff and thin and tends to stay open a little bit after it’s been opened for a while. It does lay flat just after Genesis. Much to my surprise, the binding is sewn. I did not expect a sewn binding in a Bible at this price point. It doesn’t want to stay open except from Deuteronomy through Acts, but with enough use it will likely break in. I don’t think the cover would last long with good use, but at this price range it’s not bad. The paper is thin but not too thin. It has a slight rough texture, which makes me think it would be good for marking. It actually has a good level of opacity. The lines match up on most pages – adding to the readability. The font is 11 point. The black letter doesn’t have a lot of variation, although there is some. It has about a medium darkness and is readable. There is more variation in the red letter (as is typical of red letter). It has pronunciation indicators, separating the syllables and giving a mark to show which syllable to stress. I love how much space there is in the inner margin. The text doesn’t get lost there. This should be standard in Bible publishing. I’m not sure how many references there are. Rather than just giving you tons and tons of references, this one has some of the more important references. So, there isn’t as many as you would find in a center-column reference edition, but what is here is usually a good quality that will help you in study. There are more references than I’ve seen in many other end-of-verse systems. They are keyed to the verse with an R.
Translation notes show alternate renderings from the original languages. There isn’t an over-abundance of translation notes, but what is here is good. They’re keyed to the verses with a T.
Open stars show Messianic prophecies where they are foretold. Filled in stars show Messianic prophecies where they are fulfilled. Some of them have references that link back to the prophecies and some do not. Each book has an introduction that takes a couple of paragraphs. It discusses the author and setting, and even cover Greek, Hebrew, and Latin word studies of prominent keywords such as God’s name that is primarily used in the book, the name of the author, the name of the book, etc. 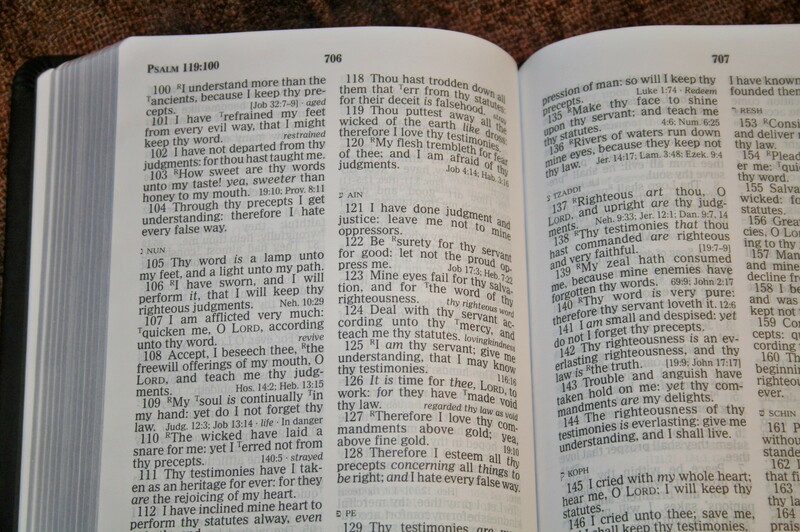 Some discuss key verses or passages. The concordance is 44 pages and has two columns per page. There isn’t a lot here but what is here is pretty good. It has 18 references for God. The size makes it easy enough to carry around and read from anywhere. It is light weight and is easy enough to hold in one hand for reading. Once it gets broken in it should lay flat in Genesis and Revelation. The price makes me not worry so much about what happens to it. I enjoyed reading from it. 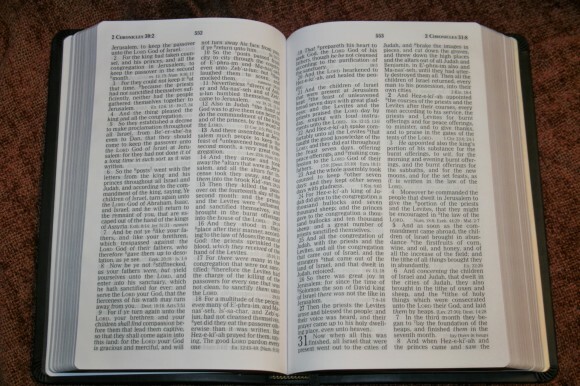 I did have to hold it open in Deuteronomy and Acts, but it wasn’t difficult to do. The text is bold enough to read without bright lighting. I had no issues reading it in the car or in my favorite chair. As far as the text is concerned it was a joy to preach from. 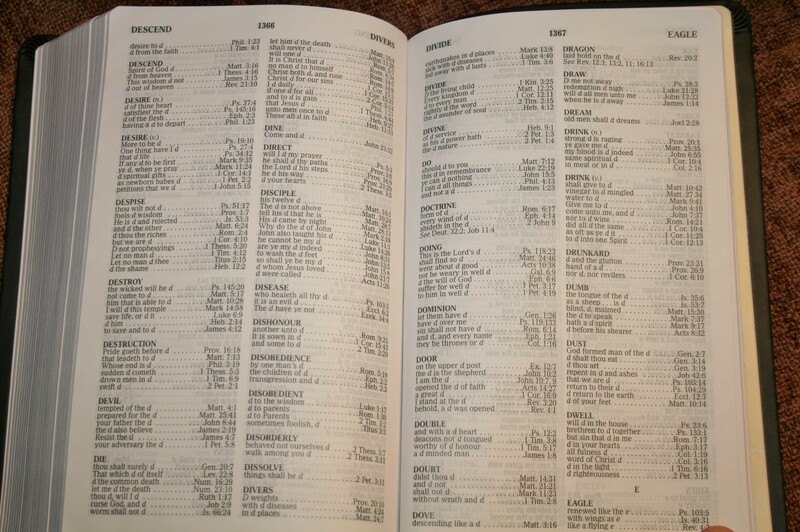 Turning pages was easy and I had no problems reading the text. The black letter was easier to read than the red, but the red wasn’t bad. 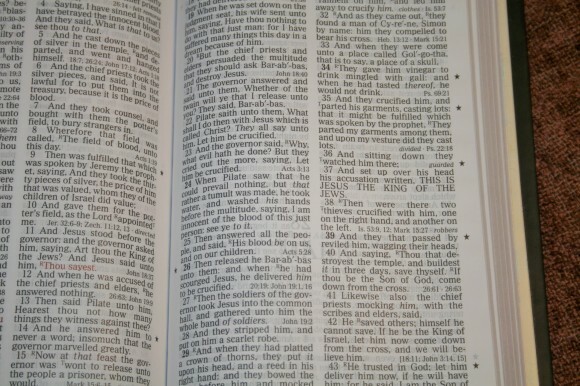 The only issue I had preaching from it was I had to hold it open in Deuteronomy and Acts, but it wasn’t that bad. For study I would want more tools. It does have a few references and it’s not the worst concordance I’ve ever seen. I especially liked the stars marking the messianic prophecies, but it would be more useful if it would give all of the references where they were foretold or fulfilled. A few tables would have helped. For example if it had lists of parables, miracles, specific teachings of Jesus, harmony of the Gospels, prominent stories, etc. While it doesn’t have all the study aids you need, it can get you started. 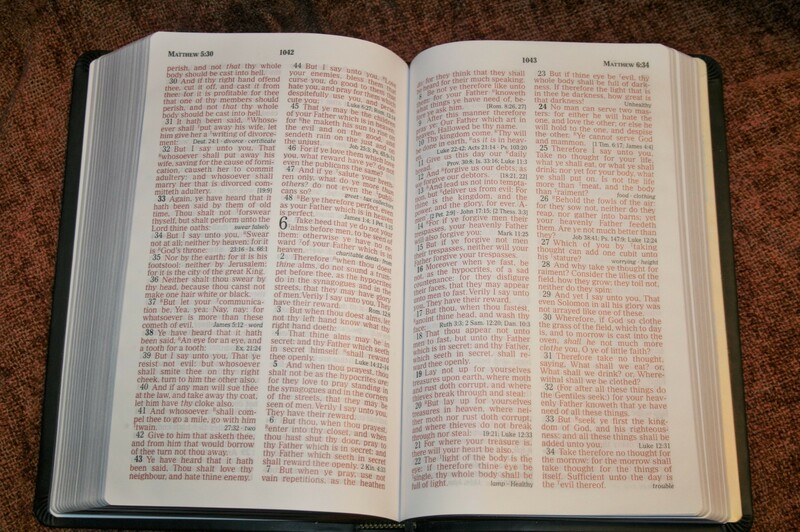 This is a usable Bible. 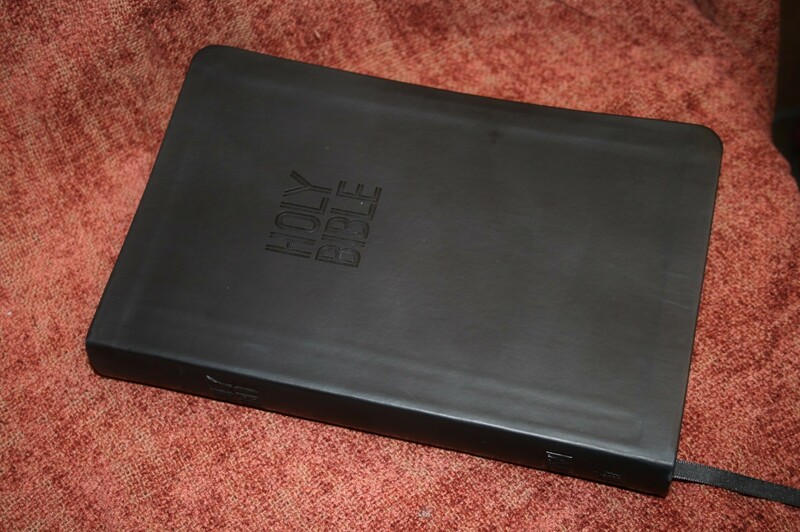 It’s the kind of Bible that I can take with me and not worry about what happens to it. It is very readable and is a great choice to preach from. If I needed to buy a Bible for a few dollars I wouldn’t have problem getting this one. I don’t think the cover would stand up to heavy use, but for occasional use it should be fine. The suggested retail price is $19.99 but I usually see it for around $15. For that, I can recommend it for carry, reading, and preaching. Can You Write in a Cambridge Clarion? 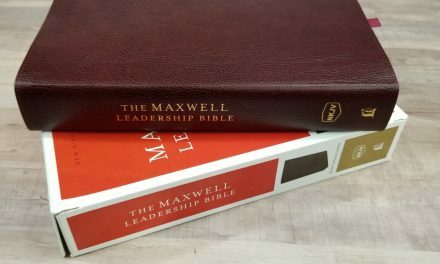 This appears to be almost identical to my Nelson NKJV Personal Size Giant Print, except mine has a bonded leather cover with gold imprint. 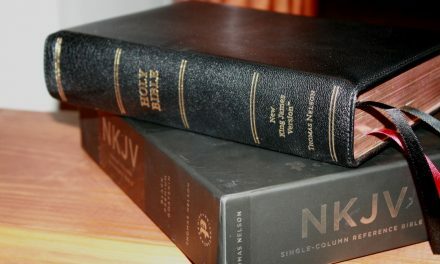 I’d certainly prefer the soft-feel imitation leather of your KJV, but for the low price I’ll take it. I certainly agree with your assessment. 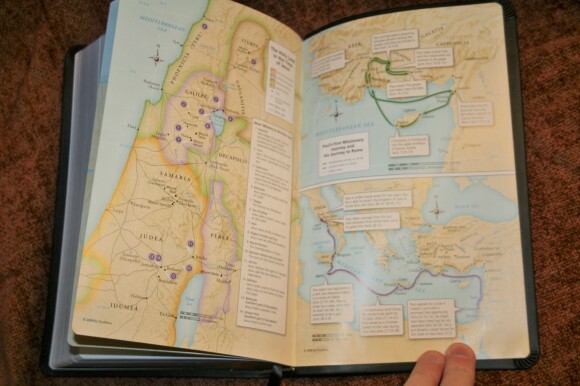 It certainly is a gem for such a low priced Bible! It really makes me wonder why Zondervan, Crossway, B&H, and the others don’t make editions like this, so small and light, yet easy to read.